Listen to Karl Schieneman, Founder and President of Review Less talk about LegalTech with Henry Dicker, Vice President of Events at ALM, Executive Director, LegalTech and Christine Alemany, Director of Marketing at DiscoverReady and a vendor who sponsors and presents at LegalTech. Henry has been with ALM for 13 years and has been running the LegalTech brand for his entire tenure. He will talk about how LegalTech has evolved over the years and might provide a sneak peek into this year’s show. DiscoverReady has been an active sponsor of LegalTech and they can explain what being involved with LegalTech means for them and for other participants. 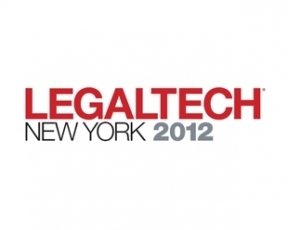 LegalTech can be overwhelming at times and is appropriately held in New York City which can also be overwhelming to outsiders. The goal of this show is to share advice on how to make the most of your LegalTech experience including strategies, how to work the largest legal technology trade exhibit in the world and what to expect this year. Most visible E-Discovery experts attend LegalTech so it’s a great place to catch up with industry analysts and learn what new technologies are hitting the field. Most importantly, the trade show and some of the programs are free.